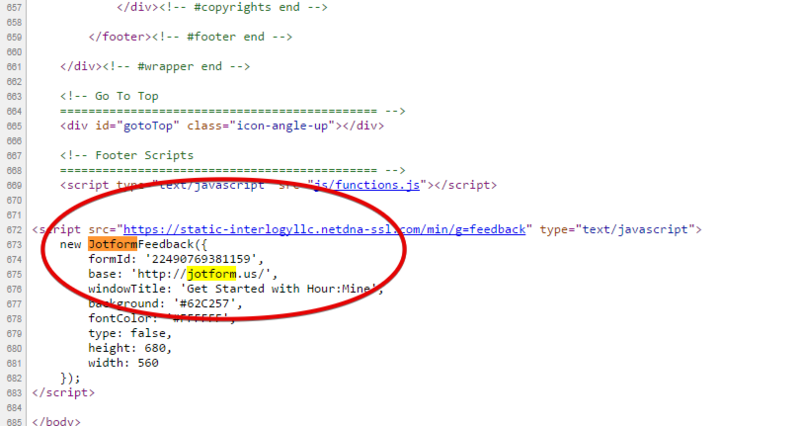 We have a jotform for customer signup on our home page (http://www.hourmine.com) But this no longer works. We need to resolve this ASAP, since this is our main customer intake form and we are losing sales leads. Can you re-embed the form using the method for the JotForm Application. Unfortunately my knowledge with the JotForm Application is limited since I only know the Form Builder. If I am mistaken and you were instead using the Form Builder, you can try adding the embed code of your jotform http://www.jotform.us/form/22490769381159 using the Lightbox code.